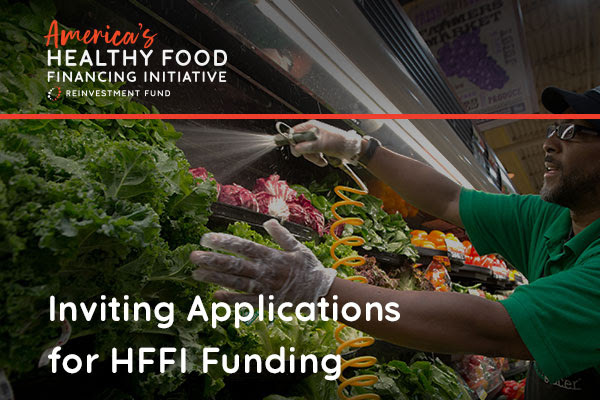 HFFI is making available $1.8 million in assistance to support eligible fresh food retail projects to overcome the higher costs and initial barriers to entry in underserved areas. To be eligible for assistance, healthy food retail projects must: 1) plan to expand or preserve the availability of staple and perishable foods in underserved areas with low and moderate-income populations; and 2) accepts or plans to accept benefits under the supplemental nutrition assistance program (SNAP). The application and additional information is available throughwww.investinginfood.com. The deadline for applications is February 14, 2019. Reinvestment Fund will hold webinars on December 13, 2018 at 2 p.m. ET and January 8, 2019 at 12 p.m. ET to confirm details about the application process and answer questions. Registration for the webinars is required.